One of our new organic bunny comforters this pretty bunny is 100% organic, handmade and fair trade in organic Egyptian cotton. 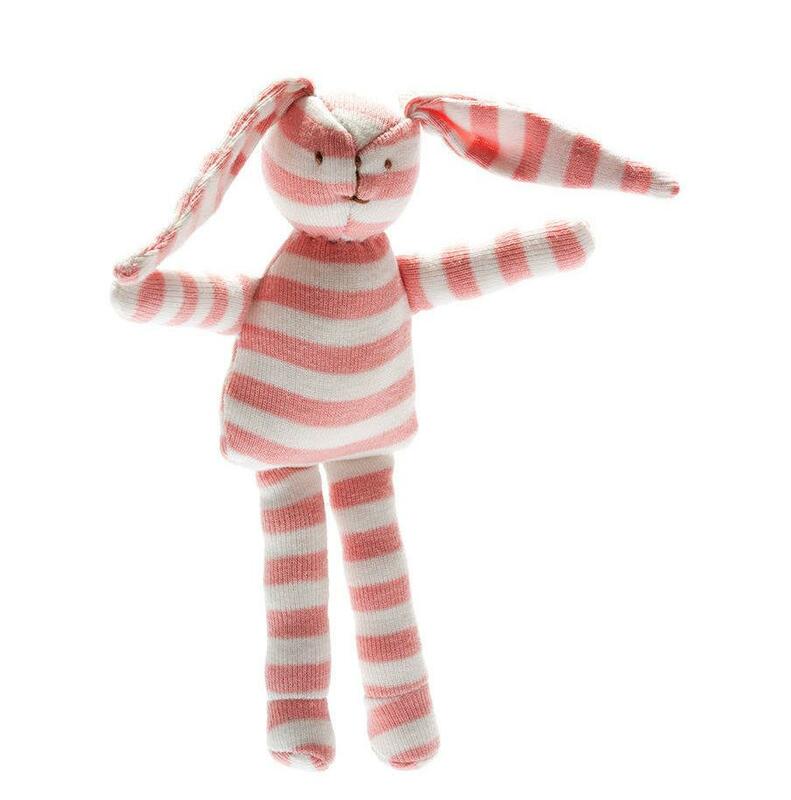 Perfect as a sleep comforter this gorgeous bunny is light and small enough to go in the cot with baby and her soft and floppy ears are perfect for chewing and absent-minded fiddling. As an added benefit the organic cotton just gets softer and softer with machine washing. Measures 18cm high and 5cm high. 100% organic cotton with 100% organic cotton stuffing.